Chimmyville > Lifestyle > Happy Birthday to me! 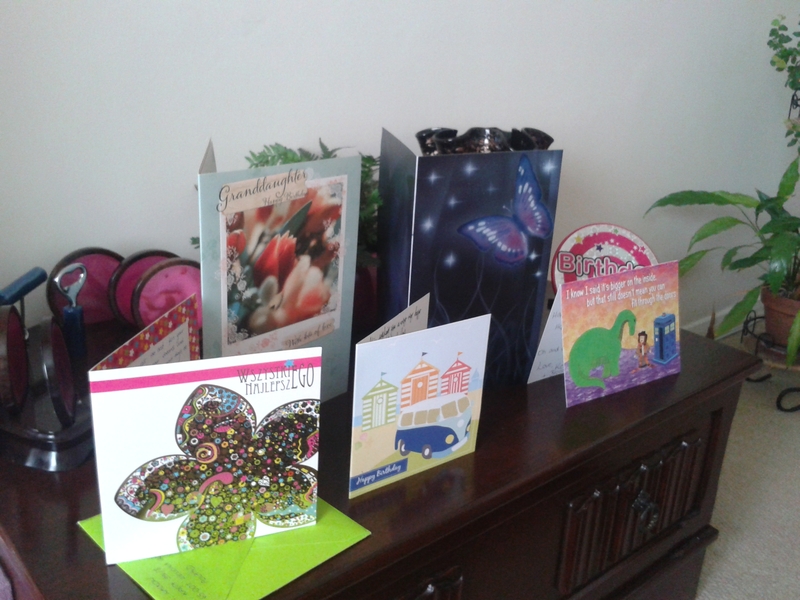 So, Wednesday (7th) was my birthday! I had the whole week off work and decided to do a little something each day to celebrate. As it was early May Bank Holiday in the UK, all my family had the day off work and decided to throw me a birthday BBQ at my house. In true fashion, we had too much food prepared! 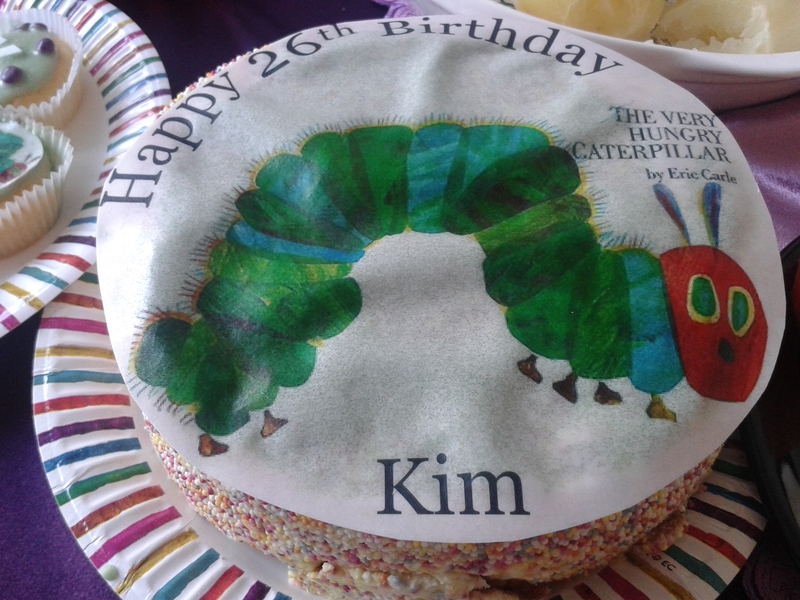 My sister made me a birthday cake and cupcakes – they were themed around my favourite book as a child. 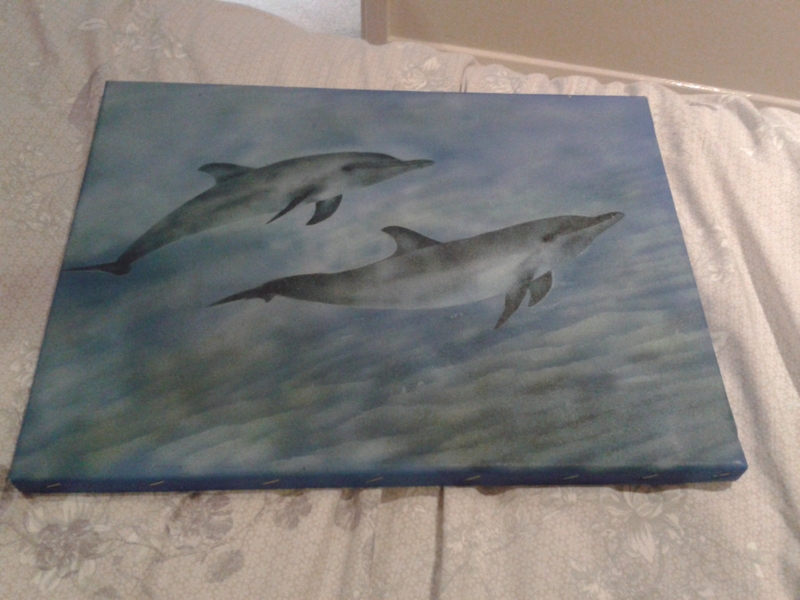 Artur painted me this and insisted I unwrapped it today (as he wouldn’t see me on Wednesday – he’d see me in the early hours of Thursday morning). Mum, Kelly and I were Busted fans when they were about and are McFly fans, so when we heard they were teaming up and going on tour. We had to go! It just so happened that they were playing at a venue near us… on my birthday. We spent the day in Cardiff – they were playing at The Motorpoint arena there – did a bit of shopping (some of us more than others – not me – which is difficult to imagine given the list I’ve posted below!) and they took me out for birthday lunch. Pizza Hut again, I had pasta this time. The concert was amazing, my inner 15 year old self was very happy! They played a bunch of my favourite Busted songs, including mum’s favourite: Year 3000 and one we weren’t expecting but happy to hear: Thunderbirds. Of course, there were McFly songs too. My birthday + McBusted = awesome! I want to see them again at the end of the month. 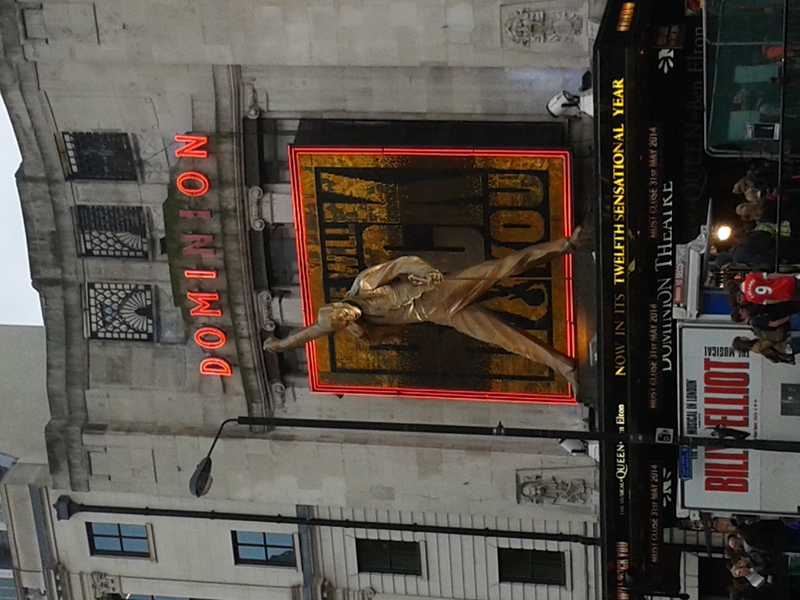 Mum and I headed to London to see We Will Rock You at the West End. We had been talking about it for weeks, but until that morning, I had no idea of we were going or not! We set off in the late afternoon, spent a bit of time in Leicester Square’s M&M World and walked around Leicester Square, Piccadilly Circus and Oxford Circus before heading to the theatre for 7pm. I was the only one with the day off, so I got some much needed R&R and had a day to myself. After a week of being on the go and a lot of late nights and early mornings. I needed to catch up on sleep too, I had a lie and went into town with my parents. I think that’s everything I bought/received this past week! Did a lot of shopping. Next week will also be a busy one, it’s Artur’s birthday (he’s turning 30!) and I’m also going to Collectormania Milton Keynes at the weekend. Happy belated birthday! Having a whole week off sounds like heaven, and you sure made the most of it. 🙂 That’s a great pile of presents too! Thanks! 🙂 – It was a great week! Feeling like I need another week off to recover now though. Haha. BBQ is a great way to bond with your family. 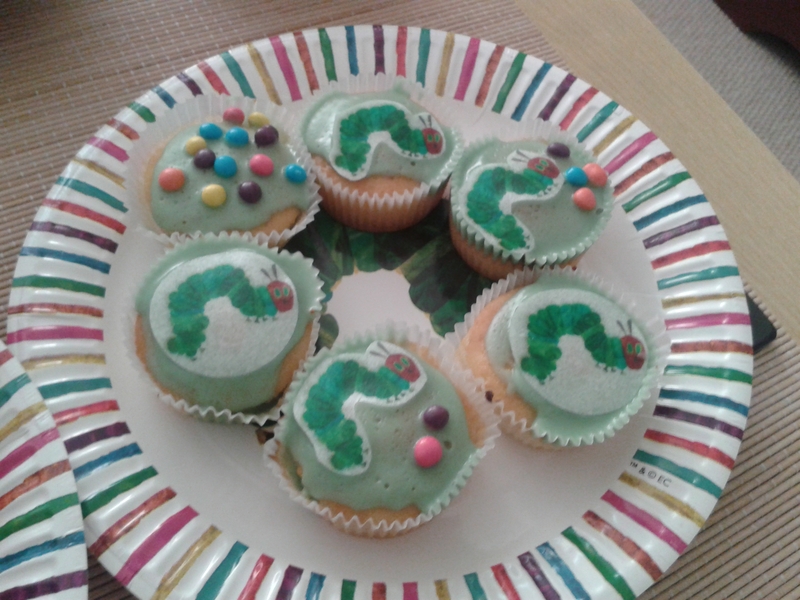 And the cupcakes and the cake look so cute! It must feel great that a band you love is playing near you on/near your birthday. It’s like a birthday gift from them to you. Lmao.